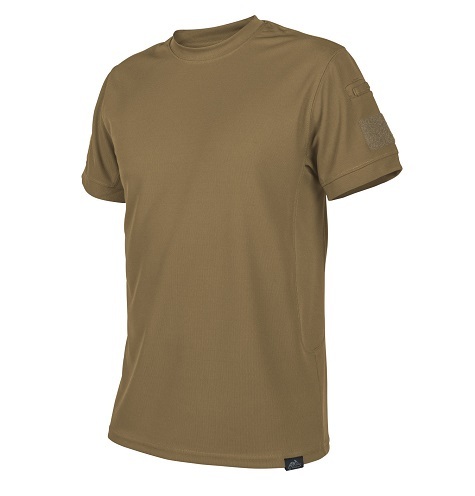 What makes a regular t-shirt tactical? Several elements for this product. First of all, polyester material finished with Topcool technology - dries quickly and wicks away moisture. Secondly, pockets placed on the shoulders with sewn belt loops. Thirdly, there are small velcro panels under the pockets that can be used for personalization. Even the Helicon logo is sewn in discreetly at the bottom of the shirt so that it can be removed quickly if necessary. It remains to choose the color of the t-shirt and use it.